Ditch the bottled water and safely drink from your onboard tank or any city water source! Major cities purify their drinking water using ultraviolet light, and now you can, too. Acuva’s patented UV-LED technology employs the same principles that full-scale municipal systems use to make water safe to drink. But it uses a fraction of the space and power… perfect for RVs! The elegant, brushed metal countertop faucet fits with any decor… and the blue LED light ring built into the base lets you know when the system is active and sanitizing your drinking water. How cool is that? 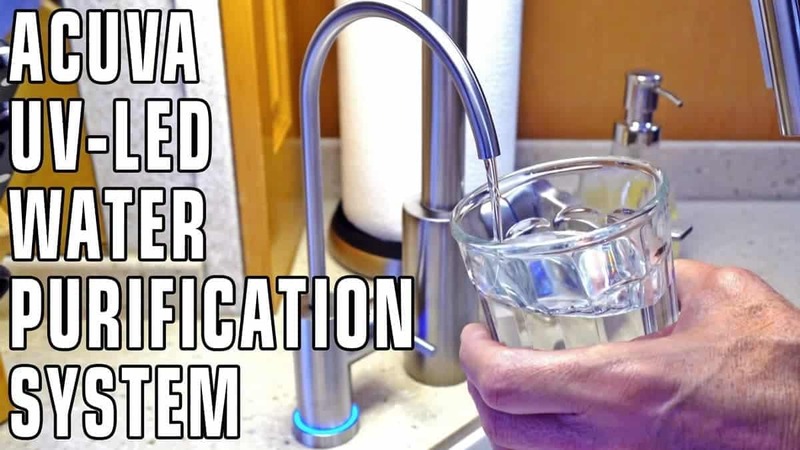 Get $100 off the purchase of any Acuva UV-LED Water Purification System using the Promo Code “RVGEEKS” at checkout.